Even if you grow kale and other fall crops, it’s likely that at least a few rows of your vegetable garden are empty from November to May. 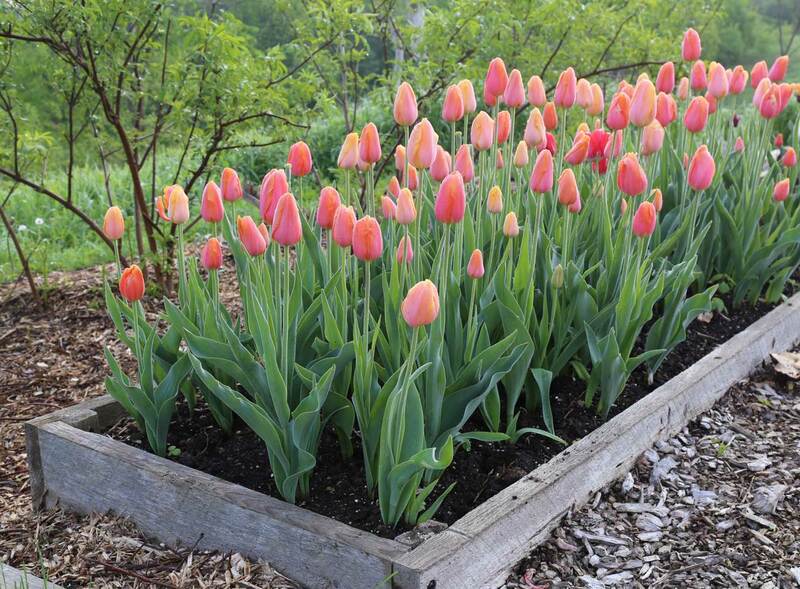 Why not fill some of those beds with tulips? 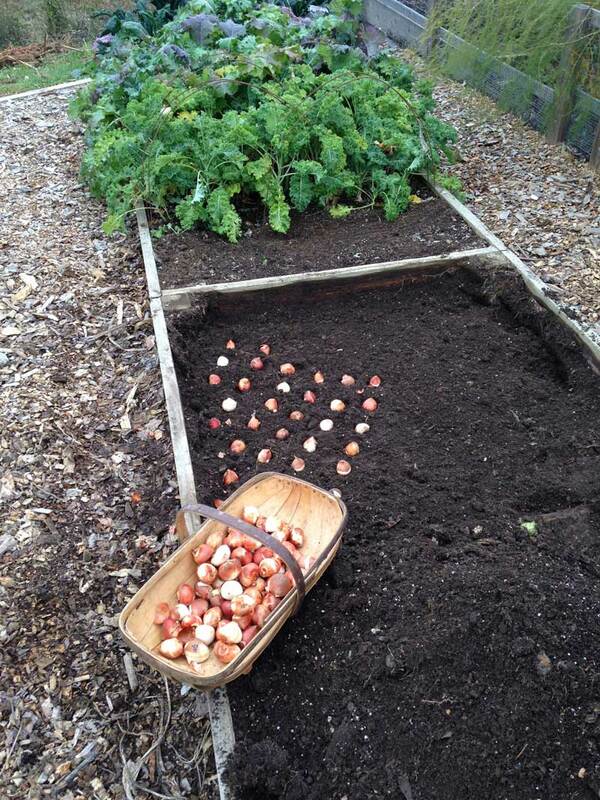 Once you have pulled out the tomatoes and peppers, just fork over the bed, rake it smooth and plant tulip bulbs. 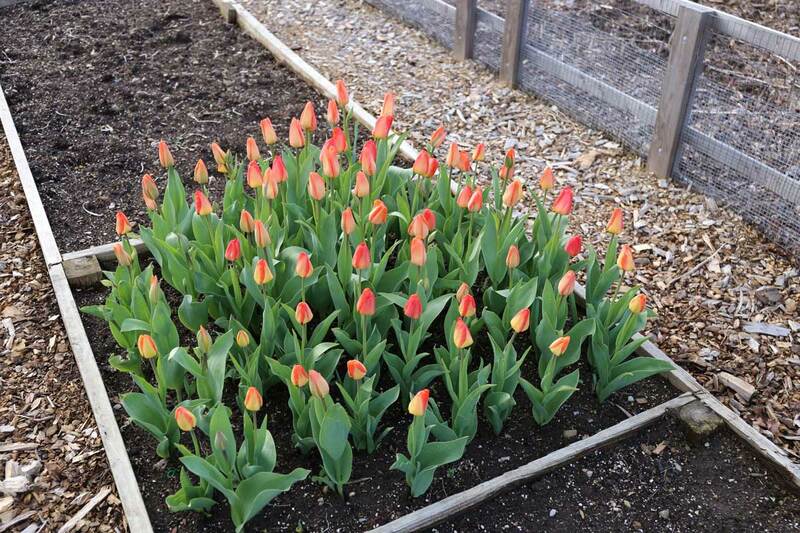 You can easily fit well over 100 tulips in a 4’ x 8’ bed. 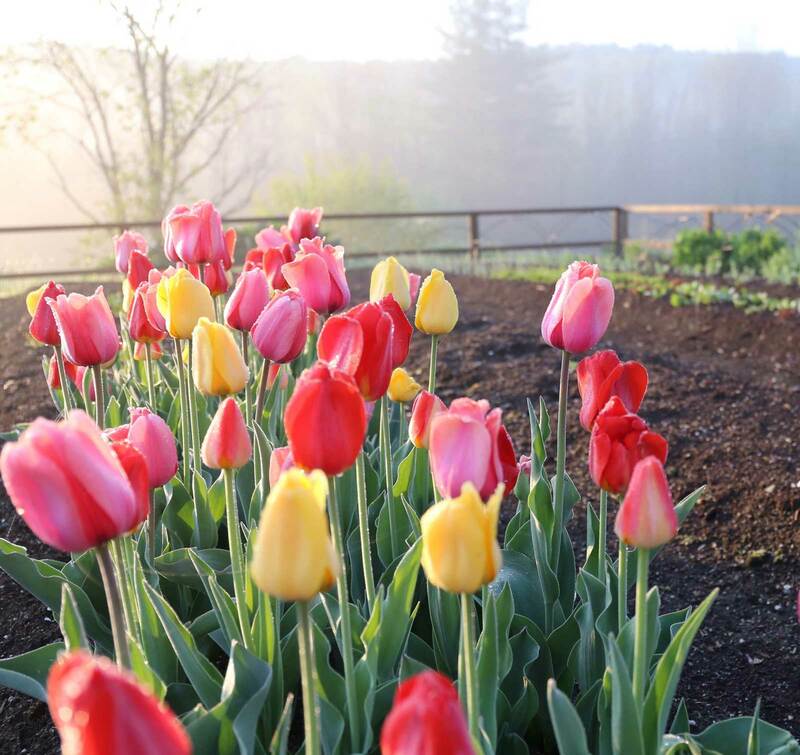 In the spring, your tulip feast will have come and gone before it’s time to plant heat-loving vegetables such as tomatoes, peppers, beans, cucumbers, and squash. 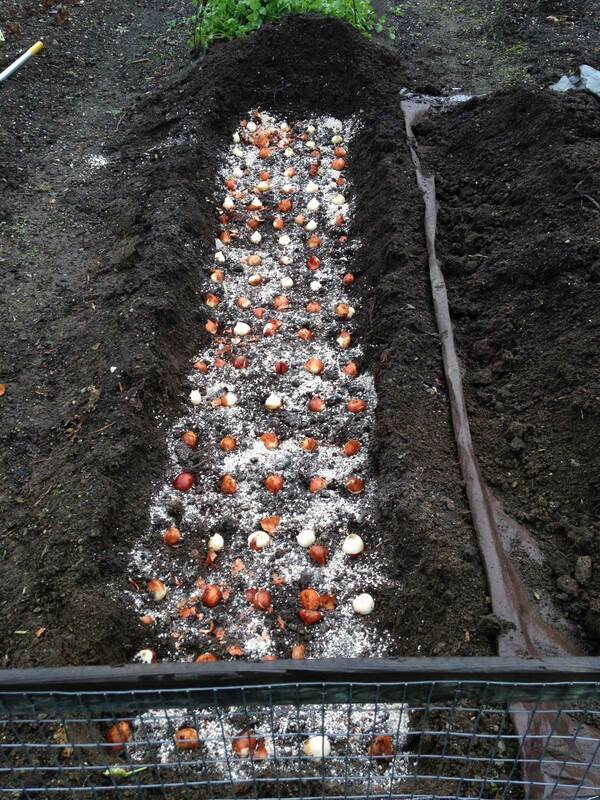 When the last blossoms have faded, just lift out the tulips, bulbs and all, and plant your vegetables as usual. If you grow vegetables and have problems with deer, rabbits or woodchucks, you may already have a fence. If you don’t have one, you probably should, and maybe tulips will be the nudge you need. No one thinks twice about protecting peas and beans. For me, tulips are soul food and just as important. Blog Post by: Kathleen LaLiberte. 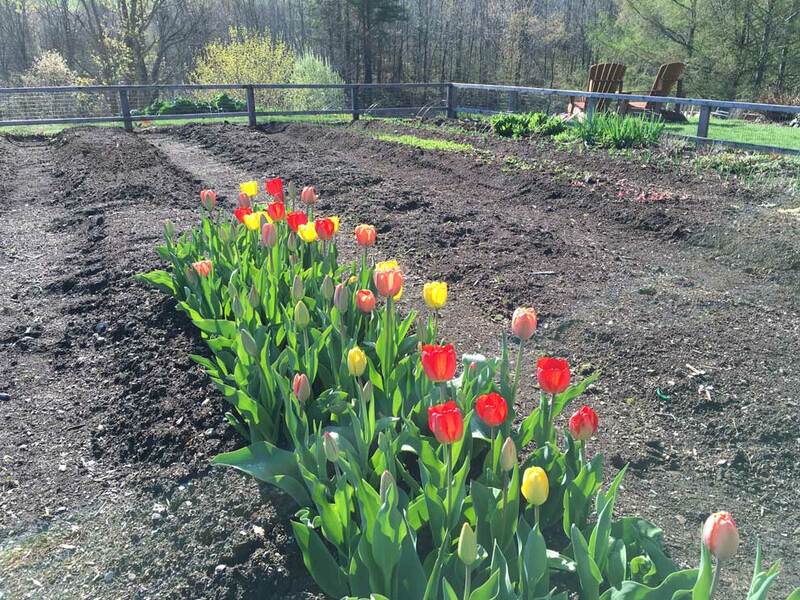 Kathleen LaLiberte has been writing about gardening for more than 30 years from her home in northern Vermont, where she tends a half acre of flowers, vegetables and fruit.